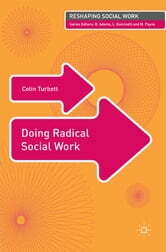 This is the first book to provide social workers with an applicable model for radical practice. Through examining the current state of social work in the UK and looking at the radical approaches that have developed over the years, this book explores some of the opportunities that exist for a radical social work. Where next for criminal justice?